Doctor's Best Vein Support contains DiosVein Diosmin, used for decades for vascular support in Europe. Derived from sweet orange and rich in bioflavonoids, DiosVein has been shown in clinical studies to support blood vessel health and promote normal circulatory function. 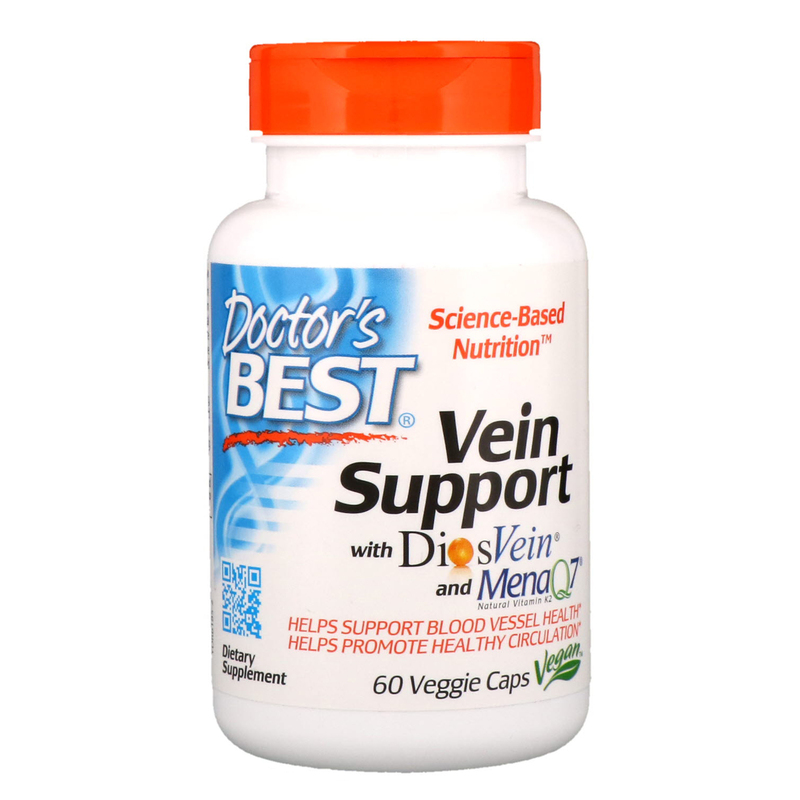 Further studies have found that Diosmin in combination with the flavonoid hesperidin supports healthy venous function. 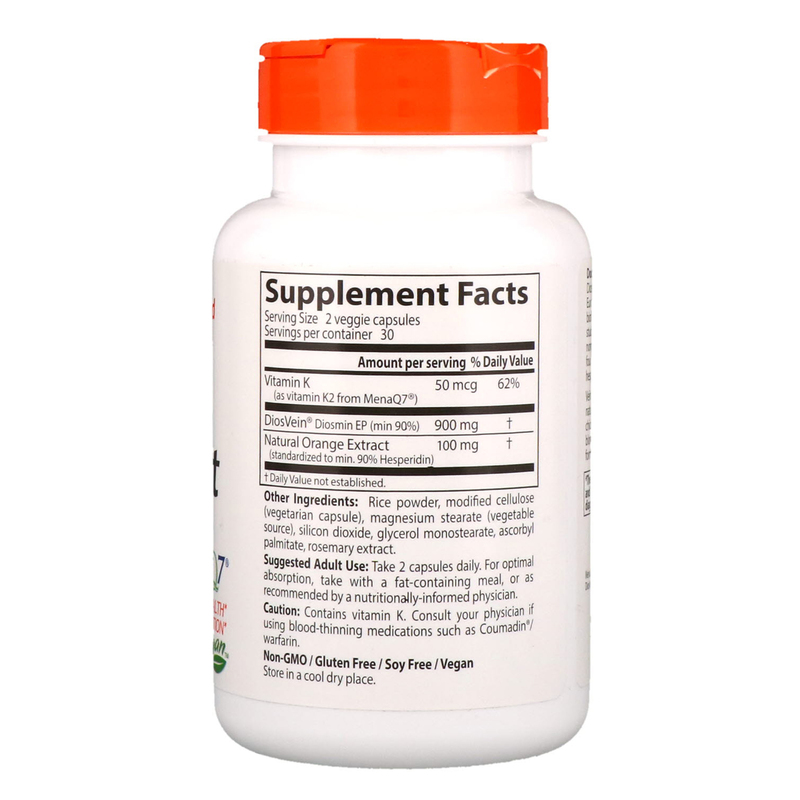 Vein Support also contains MenaQ7, a long-acting, natural form of vitamin K2 purified from fermented chickpeas. Adequate K2 is important for healthy blood vessel function and MenaQ7 is a long-acting form shown to support cardiovascular health. Take 2 capsules daily. For optimal absorption, take with a fat-containing meal, or as recommended by a nutritionally-informed physician. Rice powder, modified cellulose (vegetarian capsule), magnesium stearate (vegetable source), silicon dioxide, glycerol monostearate, ascorbyl palmitate, rosemary extract. Caution: Contains vitamin K. Consult your physician if using blood-thinning medications such as Coumadin/warfarin.